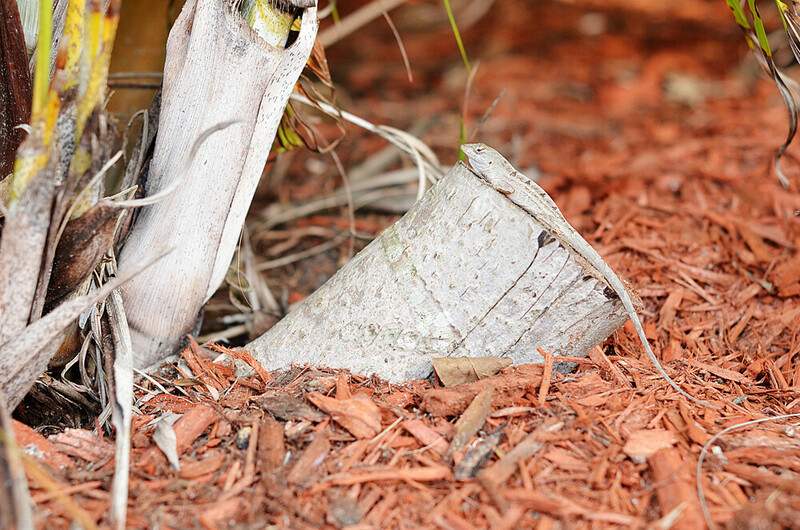 42/365 :: These cute little lizards were all over the place. They were pretty tiny and fast but I caught this one chilling out. 43/365 :: We spent a little while walking along the beach. It was so beautiful out and the water was the prettiest colour. 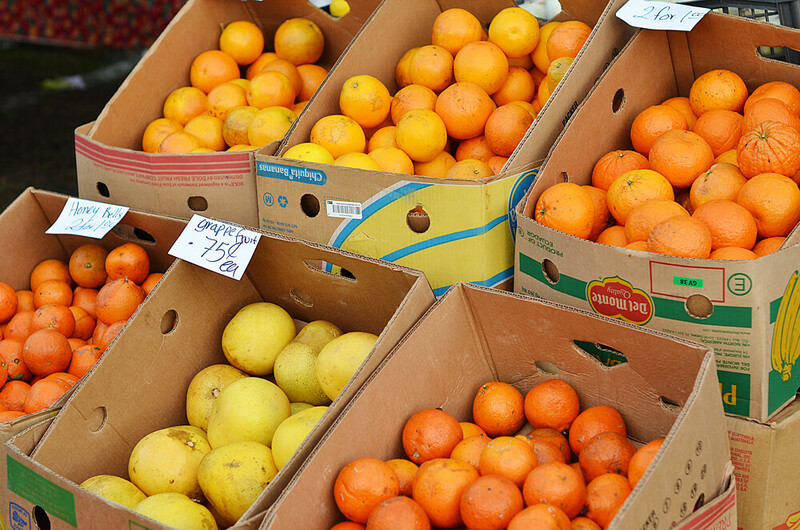 44/365 :: Ivan and I got up early to go to the Marco Island market. All of the fruit smelled so good! 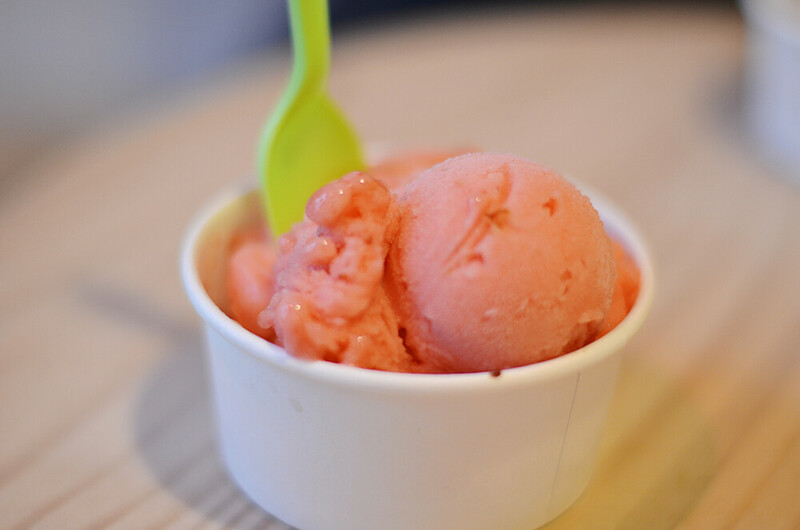 45/365 :: Even though it was pouring out and not super warm we stopped in to get a bit of sorbet in downtown Naples. This was Strawberry Basil and it was delicious! 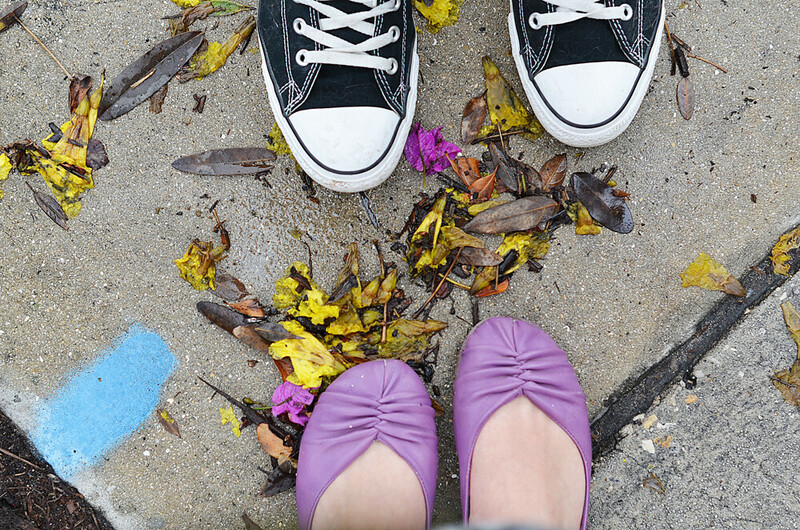 46/365 :: Pretty flowers and leaves on the ground on our last day in Florida. 47/365 :: It is a long story but instead of flying home as planned on Sunday, we ended up leaving early Saturday morning to drive home. We made it all the way past Cincinnati on the first day but before we got there we stopped in Tennessee at Mellow Mushroom for dinner. 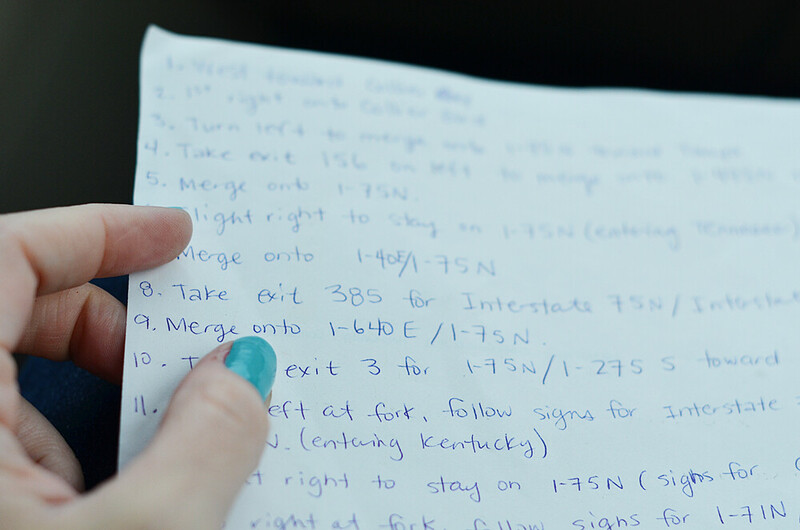 48/365 :: We had a GPS but I like backup directions. So we made it back from Florida and we are home in the crazy cold weather again. At least it is nice and sunny out today. Oh, and it is a holiday Monday for Ivan (Family Day) so we get to spend the day together. I am a little behind on emails because of being away so I plan on catching up today and tomorrow. 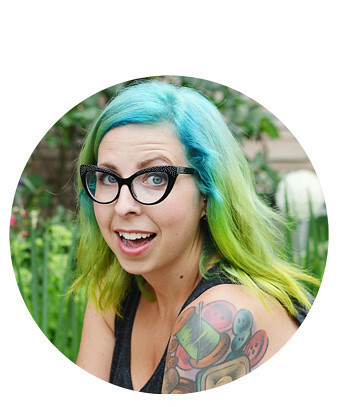 Also, I have some really majorly exciting news to share later this week. I can't wait! Oh man I hope you had fun in Florida! 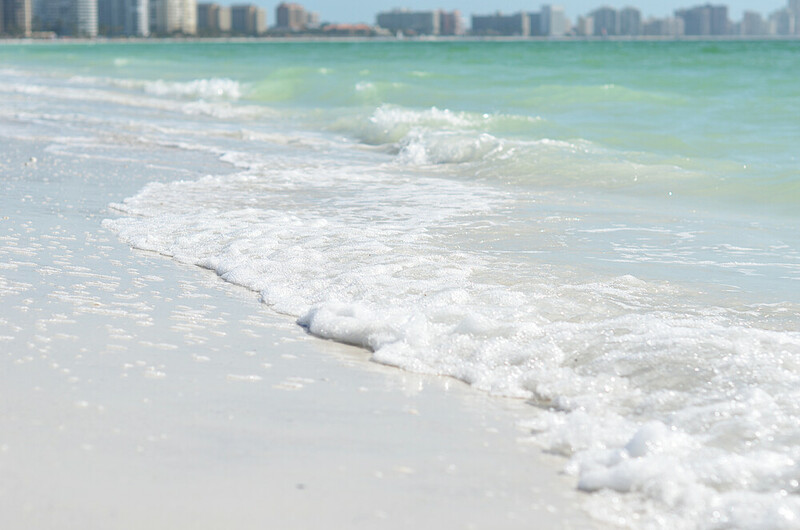 That picture of the beach looks wonderful, I wish I could be there in the nice warm weather! Lovely photos! Looks like you two had a great vacation!! I love all these photos!! It looks like you guys had a nice trip to Florida! 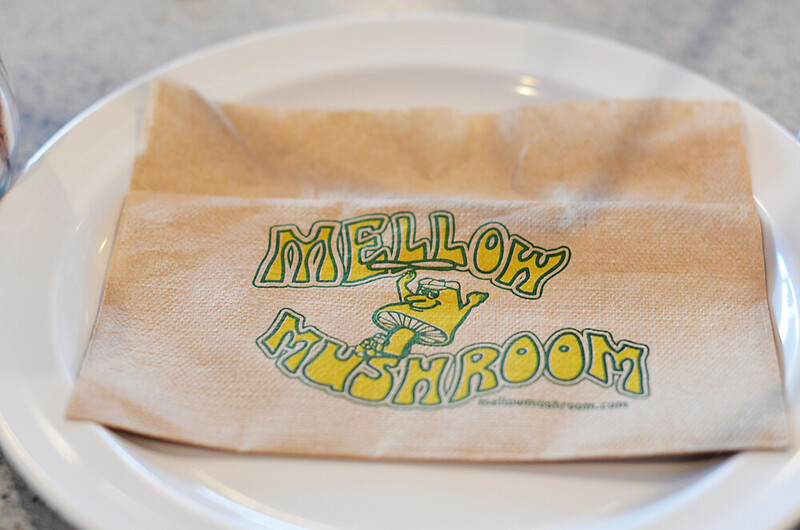 MEllow Mushroom - YUMMY! And it's a big drive - and indeed great to have backup directions. I do the same thing - always. I actually memorized the drive from Florida to PA, with two options to take, but I am a HUGE road geek. LOVE Mellow Mushroom! Can't wait to hear your exciting news! Those lizards are adorable! :D Sounds like a great time. oh which mellow mushroom did you go to? i live in nashville and that is a place we LOVE going for dinner out because their vegan pizza is so good! Knoxville, Tennessee. We had pizza and it was amazing! I looove mellow mushroom! We go every time we visit my dad's family in florida. We go to the one near tampa. My grandparents live in Naples! [: I looove the photo of the water.